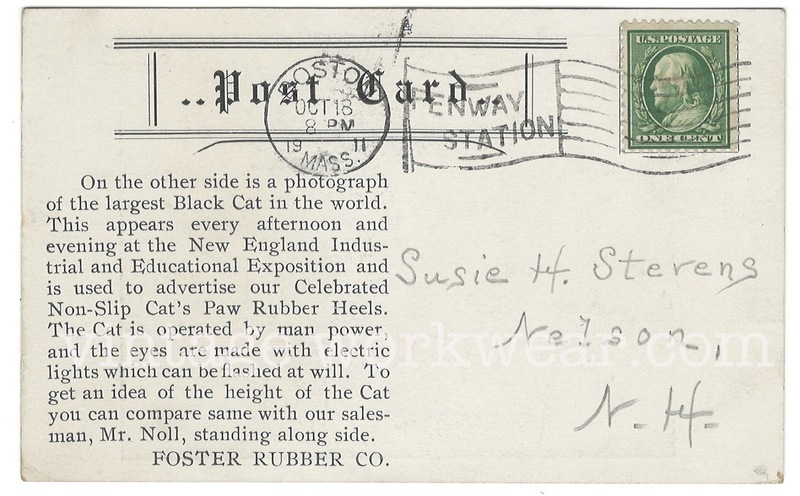 Promotional postcard for the FOSTER RUBBER CO., makers of Cat's Paw Rubber Heels. USPS cancellation stamp dates this one hundred and one year old postcard to Oct. 18 1911. 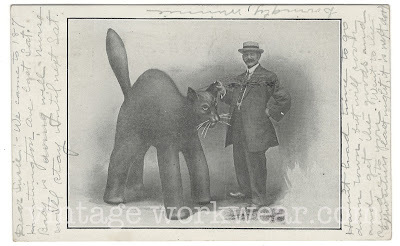 Postcard features an image of what was claimed to be the world's largest Black Cat. 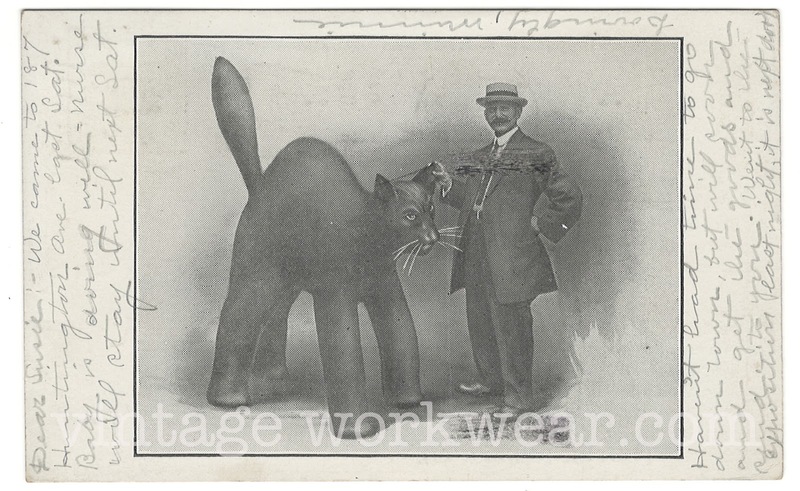 The cat appeared every afternoon and evening at the New England Industrial and Educational Exposition and was used to advertise Cat's Paw Non-Slip Rubber Heels. The Cat was operated by man power, and the eyes feature electric lights that could be flashed at will. Cat's Paw salesman Mr. Noll is seen standing along side the cat to provide size & scale. Great piece! 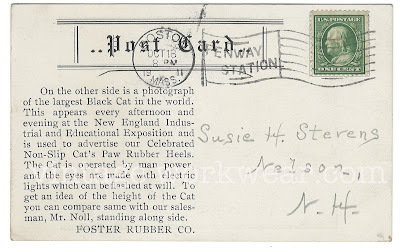 I love that the postmark is from Fenway Station. Keep up the good work. Thanks for the new one. Watch full movies online in Putlocker, watch thousands of movies and TV-series anywhere with your favorite westerns, adventure, and comedy. And photoshop alternative, it’s free and easy to use, get your hands on, create an image, or upload from your PC to edit.